We cultivate the Organic NON-GMO Soybean through the clusters of group of farmers, who are contractually associated with us. The farming yields from all these farms are Organic Certified by the renowned authorised agencies. Moreover, a time to time inspection is carried out by our field officers ensure that the desired quality of the yield is obtained as per the stipulated organic farming norms. After harvesting, the produce is brought to our manufacturing plant, which is also Organic certified, for cleaning (mechanically and Hand Picking Separation as well) and grading by size & shape. The Soya Bean, then, further processed on the state of the art machines for its conversion into the value added products. Besides our in-house R&D and QC laboratory, the quality checks and certifications are also conducted by the reputed external GAFTA approved laboratories with respect to the physical, nutritional, chemical & microbial parameters. Post production, the products are systematically packed and loaded in containers/transport vehicles. Every care is taken to avoid contaminations and the product remains genuinely organic till it reaches to the end users. 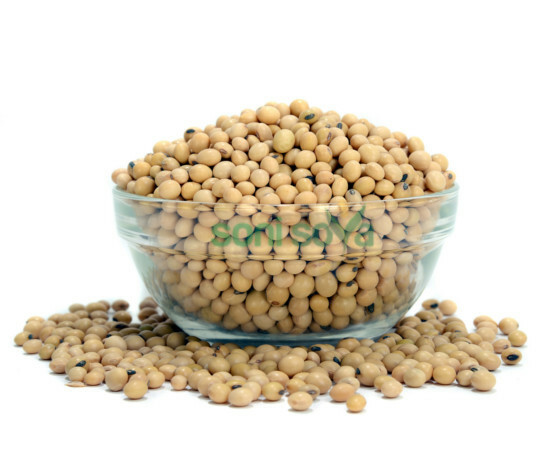 Our Organic Soya Bean and its value added products are available in Food & Feed grade versions. - 25, 50 kg. Weight P.P Bag or as per requirement of customer. - Bulk packing in full liner bags.